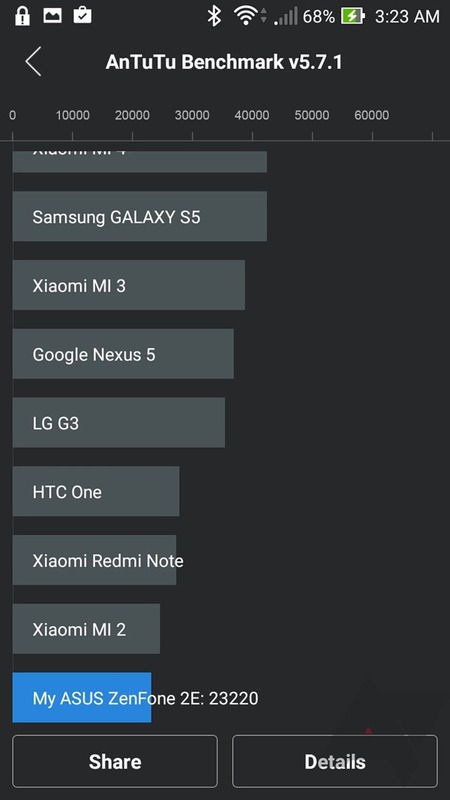 Competition in Android smartphones is better now than it's ever been, and not just in the flagship segment. With devices like the Moto G, the ZenFone 2, and various Blu designs, the mid-range is heating up with phones that are jam-packed with value. But how about the low-end, entry phone segment? For those people who just want a device that runs a few apps, plays a nice round of Threes, and maybe browse for some sports scores? Before a few years ago, they were limited to whatever bottom-of-the-line, low-margin phones Samsung and LG would spare. These days things are a little different. The clear winner in this market segment is the Moto E, which is an excellent daily driver in its own right and a fantastic value at $120. Here again, Asus wants to challenge Motorola with the ZenFone 2E, a budget-focused phone that takes design cues from the larger ZenFone 2 and retails for the same price as the E (at least when sold on AT&T's prepaid GoPhone package, the version of the phone we were given to review). Results are mixed. 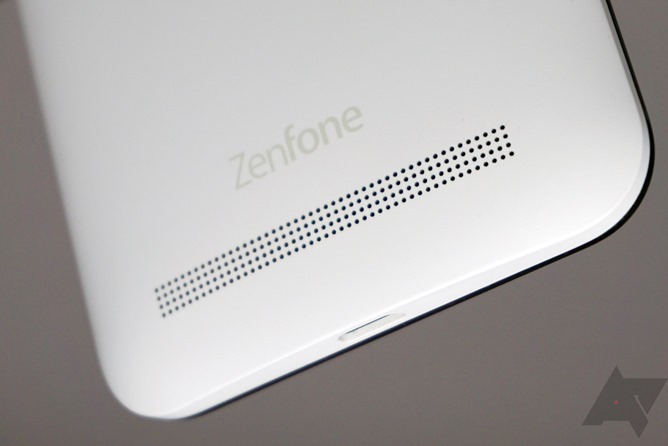 The ZenFone 2E is... okay. That's about it. While its hardware is perfectly serviceable at this price range, actually using the phone proves to be a slow experience, and the Android 5.0 build (customized with Asus' software skin) is inconsistent at best. The 2E is probably the best Android model for its price currently on the GoPhone lineup, but with the service's bring your own device setup, it's very hard to recommend over the second-gen Moto E or a Blu phone in the same range. Price At $120, the ZenFone 2E is probably the best phone offered under the GoPhone label at this point. Not that that means much, since it's so easy to bring your own device. Graphics Intel's chipsets, even the relatively low power version included here, continue to offer impressive graphical performance. 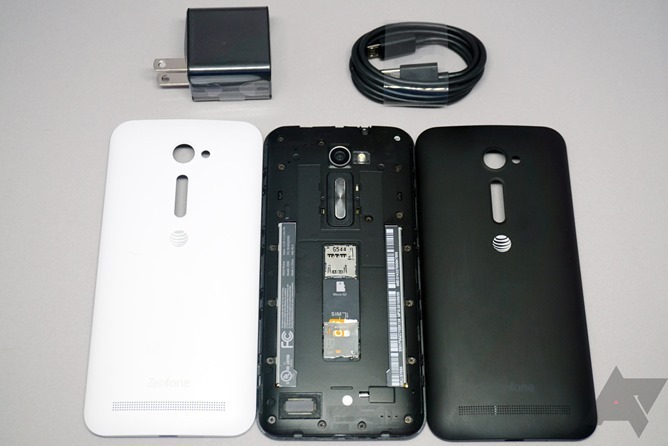 Backs The ZenFone 2E includes both white and black rear covers. So that's nice. Bloat There are a ton of unnecessary Asus and AT&T apps. With only 8GB of space to start with, that leaves you with just 3GB for your own apps and files. 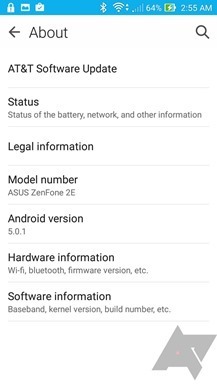 Competition With this particular market of low-end phones filling up, the ZenFone 2E simply can't be recommended over competitors like the second-gen Moto E.
The ZenFone 2E uses Asus' standard layout for its 2015 phones: basic candybar shape, capacitive navigation buttons, volume buttons on the back, power button on top. It's a perfectly serviceable design, though splitting up the power and volume buttons is awkward - why not simply go full back, as with recent LG phones? The strange spacing makes it more difficult to adjust to the nonstandard placement than it might otherwise be. 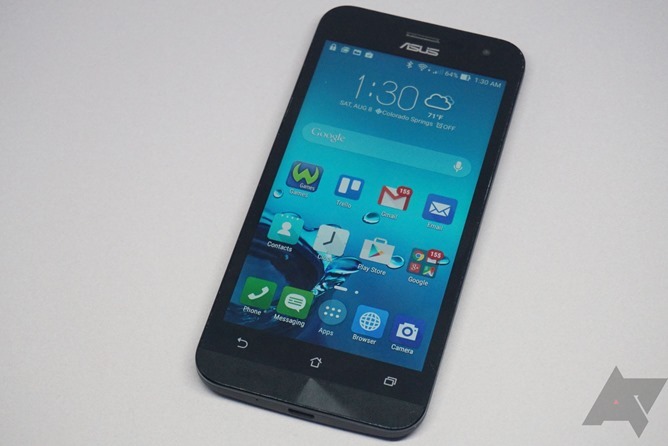 Asus gave the 2E a 5-inch, 720p LCD screen, something of an indulgence for this market segment. The screen is one of the only parts of the phone with a clear advantage over the Moto E, which uses a 4.5-inch panel with a 960x540 resolution. The screen itself has somewhat muted colors and its default brightness is about 20% too dim for my liking, but it's sharp and readable once you adjust to it. The phone makes no particular effort to keep its bezels thin - it has a footprint of 148mm x 71mm, more than a centimeter taller than my old DROID Maxx (with the same size screen and capacitive navigation buttons). On the front of the phone this is taken up by a sizeable "chin" beneath the nav buttons and a wide, mostly blank top bezel, aside from a silver earpiece and stylized Asus logo. The capacitive keys have no backlight or raised markers, which makes them hard to find on the wide bottom bezel in the dark. Around back you'll see a similarly utilitarian design, with a thin volume rocker, standard camera lens and LED, and a surprisingly subtle AT&T logo. A wide set of speaker holes - much wider than it needs to be, in fact - occupies the bottom of the back. The rear is made of plastic, but it's solid stuff, with a slightly "grippy" texture that doesn't easily show fingerprints. The phone comes in white, but there's an additional black phone back included in the box, which has even more grip. I prefer the black, but that's subjective. 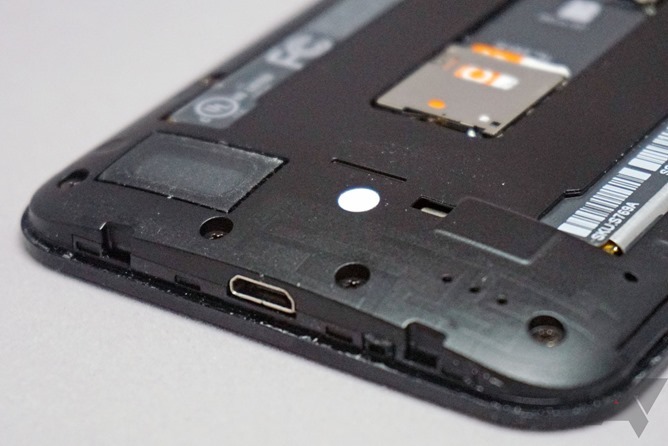 The right side of the phone has a tiny groove for levering off the back cover. This is surprisingly difficult - I couldn't do it with a fingernail and had to resort to a small flathead screwdriver to work the first plastic tabs loose. It's almost, but not quite, as difficult as the back cover of the OnePlus One. This doesn't really bother me, though - all those locking tabs mean that the rear cover is unlikely to fall off if the phone is dropped, and it's much easier to get back on. 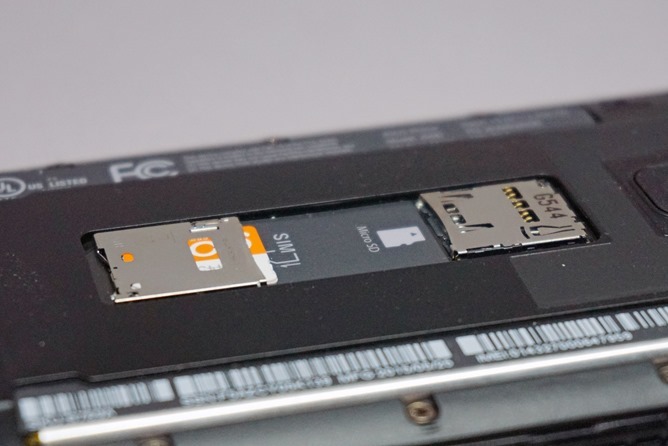 The only things you can do once it's off are insert a SIM card or a MicroSD card into the empty slot - the small 2500mAh battery is visible, but not removable without disassembling a plastic retainer plate. With the rear cover removed, you can see how small the primary speaker is, and the sound is pretty much what you'd expect. It's slightly better than the pathetic speaker on my Nexus 5, but nowhere near as good as some of the other single-speaker phones I've used. Luckily the phone's earpiece is just fine, and I was easily able to hear other parties when I called them. 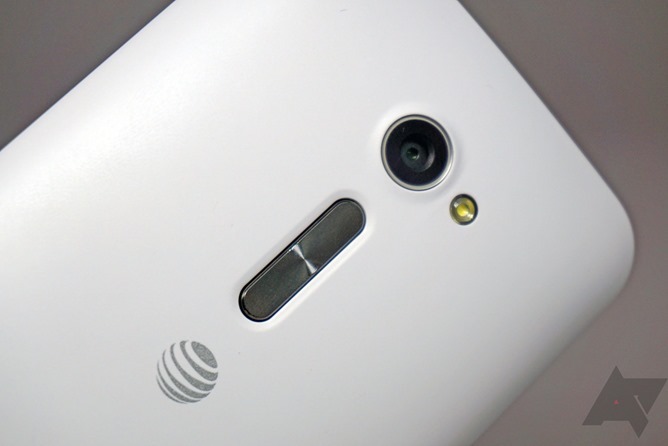 The phone includes AT&T LTE bands, which isn't a given at this price. 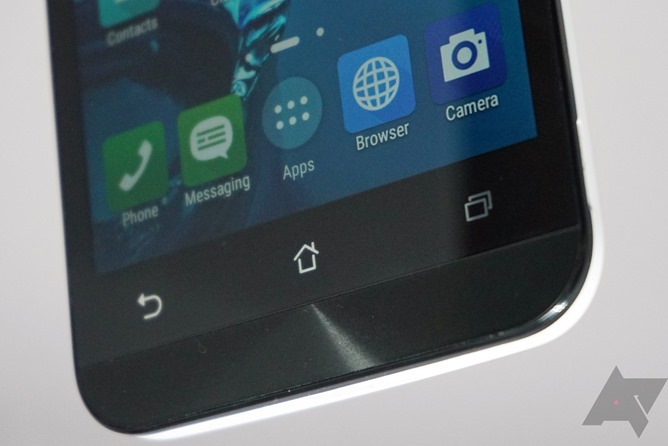 Overall, the ZenFone 2E's look is functional. It's pretty similar to my Honda Civic: it will get the job done without turning heads or particularly offending anyone. Using the phone is likewise acceptable - with the grippy plastic back and relatively narrow design (at least compared to today's mega-sized flagship phones), it's easy to pick up and use with one hand. Asus favors Intel chipsets for its phones, probably thanks to its relationship in the PC market: the economical ZenFone 2 gets an Atom Z3560 or Z3580, which David called "very solid" in his review. 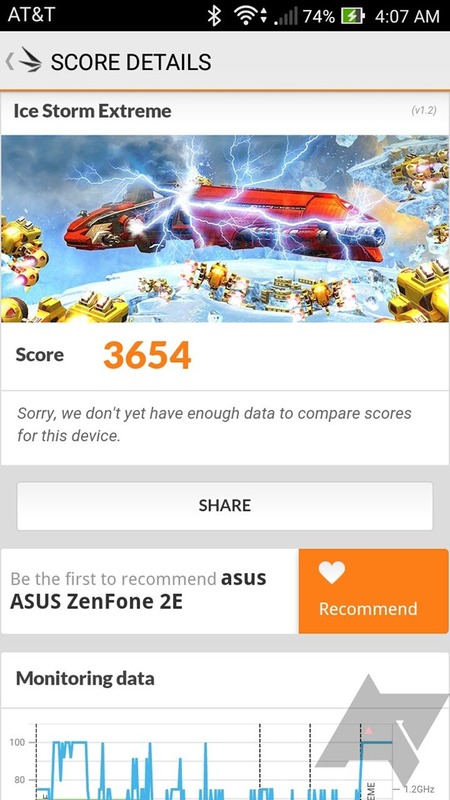 Unfortunately the smaller and cheaper ZenFone 2E has to make do with a Z2560, with a dual-core design clocked at 1.6GHz. It doesn't help that it's paired to just 1GB of RAM. These aren't surprising or even disappointing specs at the $120 level, but there's no denying that the phone chugs. That may have more to do with Asus' software build than Intel's chip design, but either way, launching new apps and switching between them is sometimes painfully slow. 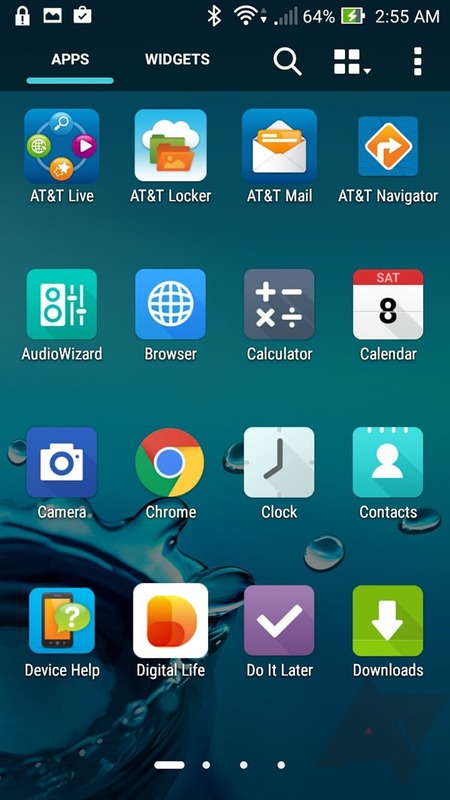 My most commonly used apps are Chrome, Gmail, and Google Play Music (none of which are known for being particularly zippy at the best of times), and launching either from the Asus home screen takes 10-12 seconds. Even when I became frustrated and switched to the built-in Asus browser (which looks like it's based on Opera) and local music player, there was hardly any improvement. A shortage of memory is a problem as well, and this one I'm more than willing to lay at the doorstep of Asus and its bloated software design. Multitasking on the ZenFone 2E is a chore - any music playing in the background is likely to stop without warning, and Google Maps takes its sweet time reacting to just about anything. The performance was so choppy that I found myself purposefully declining to install some of my "daily driver" apps like SwipePad and the Twitter Fenix client, because I knew adding them to the phone would only slow it down. I browsed Twitter, Facebook, and Google+ on the web instead. Oddly, Intel's graphics performance shines, even on the low-power chipset. The ZenFone 2E was able to play my go-to game, Soul Calibur, with no slowdown whatsoever. Ditto for Spider-Man Unlimited, something a little more modern. Gaming on the ZenFone 2E is impressive, but there's a big downer: a limited amount of space means you'll probably be constricted to 2D titles and maybe one or two larger games. 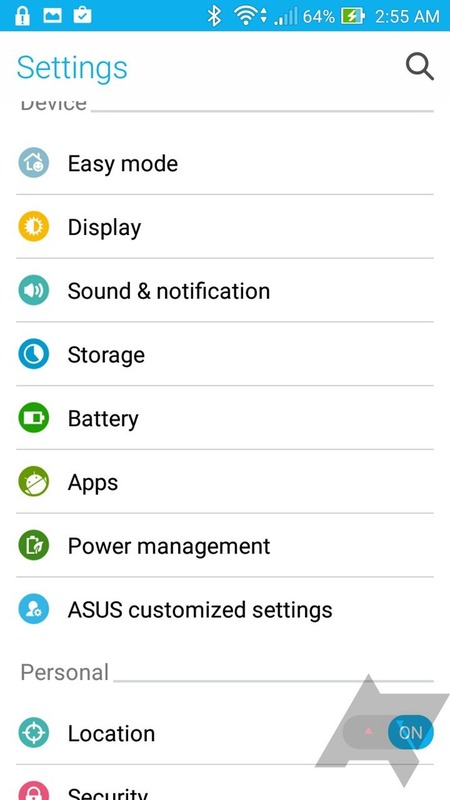 The phone only has 8GB of storage, and almost 5GB is taken up by the Asus software build. You can store photos or music on a MicroSD card, but even for standard applications, your options will quickly be limited. 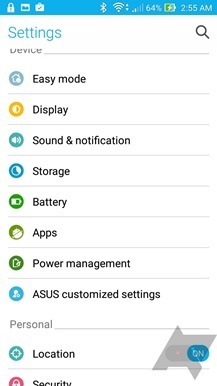 Here's hoping Asus remembers the 2E when it comes time to upgrade to Android M, since the combined storage option will be extremely beneficial. Update: Something I failed to spot in my initial review: Asus has added the ability to move apps to and from the MicroSD card, which should help alleviate the cramped storage problems. 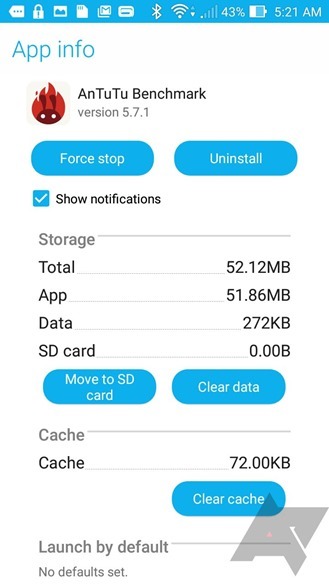 It does come with its own issues, however - you'll still need to have enough free space on the phone itself for an initial download from the Play Store, which means constant space management on the part of the user. Battery life is pretty much what you'd expect for a phone of this size and this capacity. 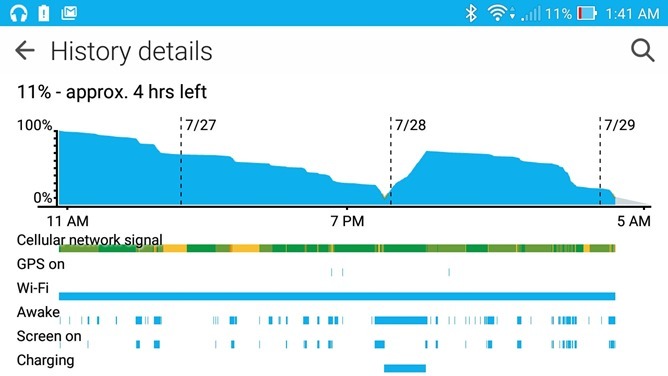 While I stayed at home the ZenFone 2E could easily last two days on Wi-Fi with standard usage. 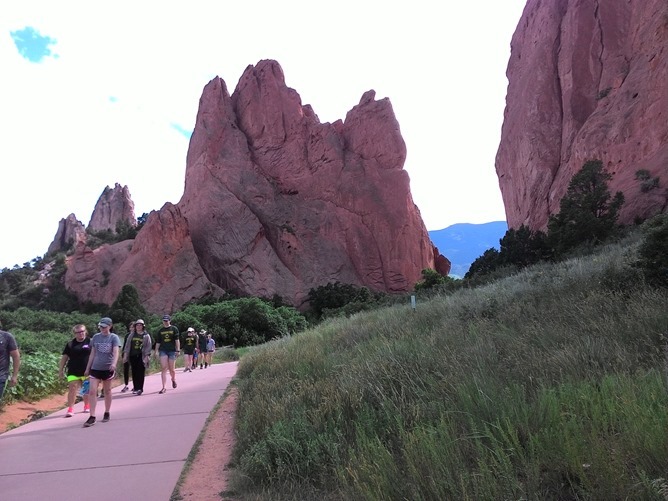 Take it out into the Land of 3G/LTE, and you're looking at about a day, give or take a few hours for usage. 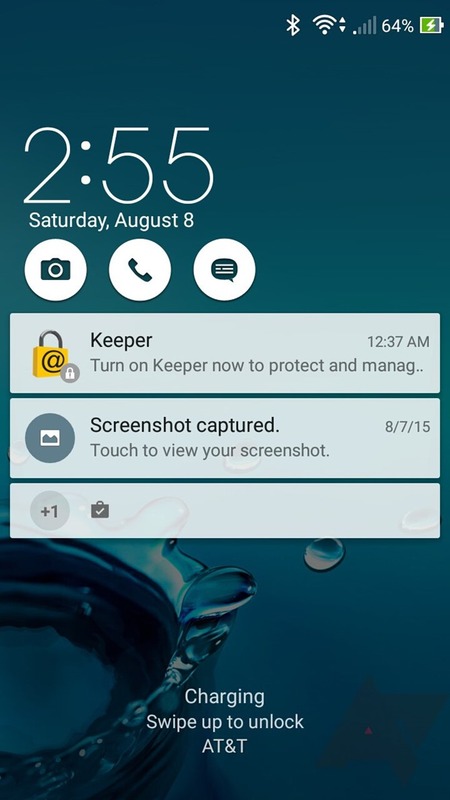 Android 5.0's power saving mode can extend that if you're desperate. This is pretty typical for a phone in this size and price range. 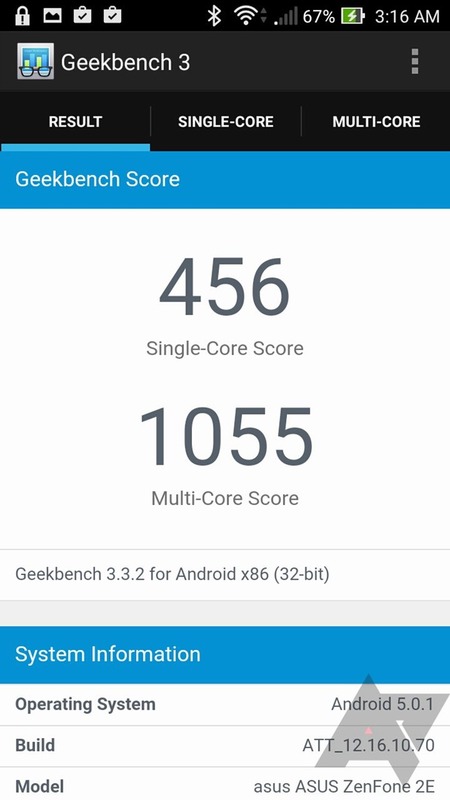 Those looking for monster longevity probably need to up their budget, and maybe take a look at the insane ZenFone Max. When making or receiving calls, the 2E performed admirably indoors and outdoors. 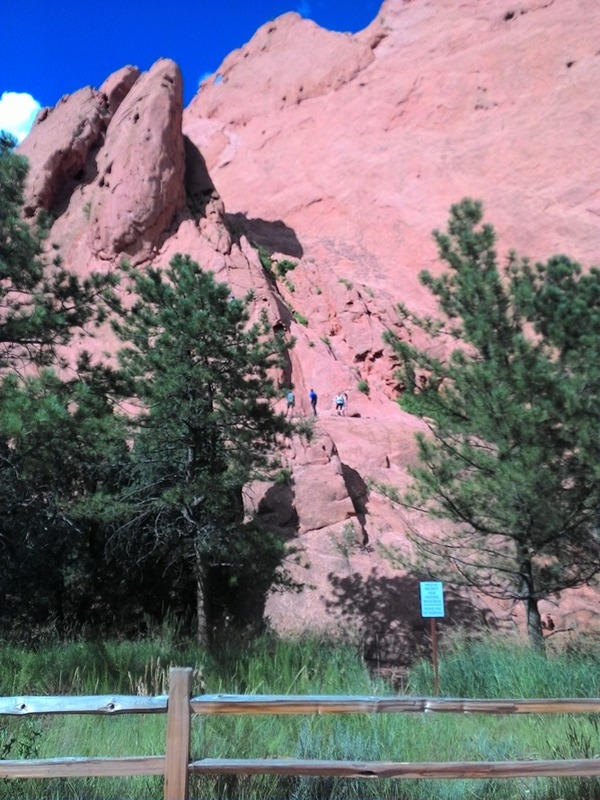 I was able to hear and be heard clearly on pretty much every call. 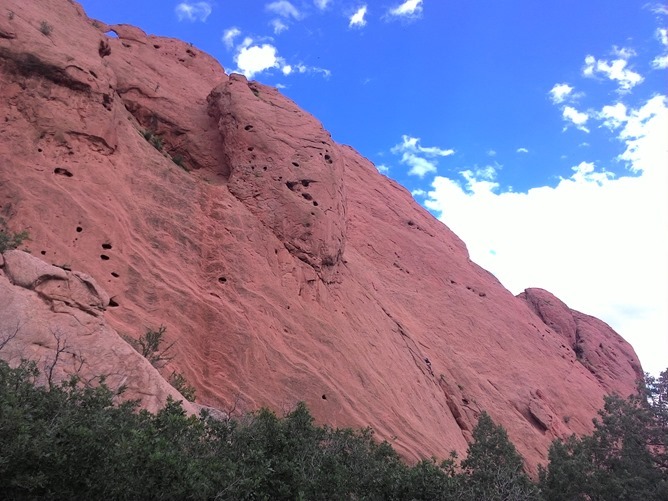 Keep in mind that I live in a medium-sized city, so my experience with low signal areas is negligible, but while driving around the outskirts of Denver I didn't see any drastic drops in signal. 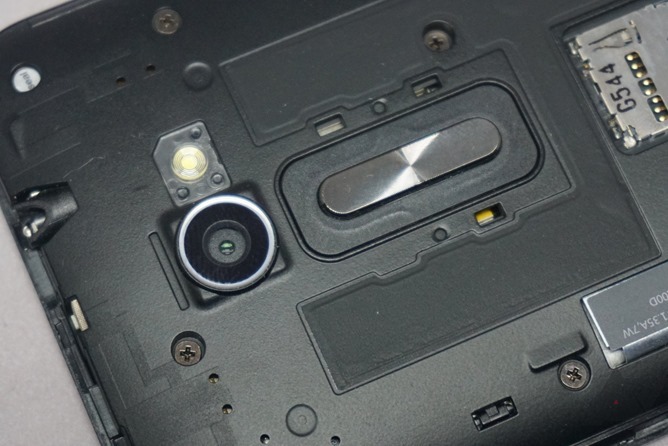 The ZenFone 2E is equipped with an 8 megapixel rear camera. It's about what you'd expect. Photos in good light are decent if not spectacular, while photos in low light are more or less junk (even with the included flash). It's acceptable for something in this price range, but don't expect miracles from a small sensor with cheap glass. Video can be recorded at 1080p/30fps or 720p/60fps - a nice extra, even at the reduced resolution. 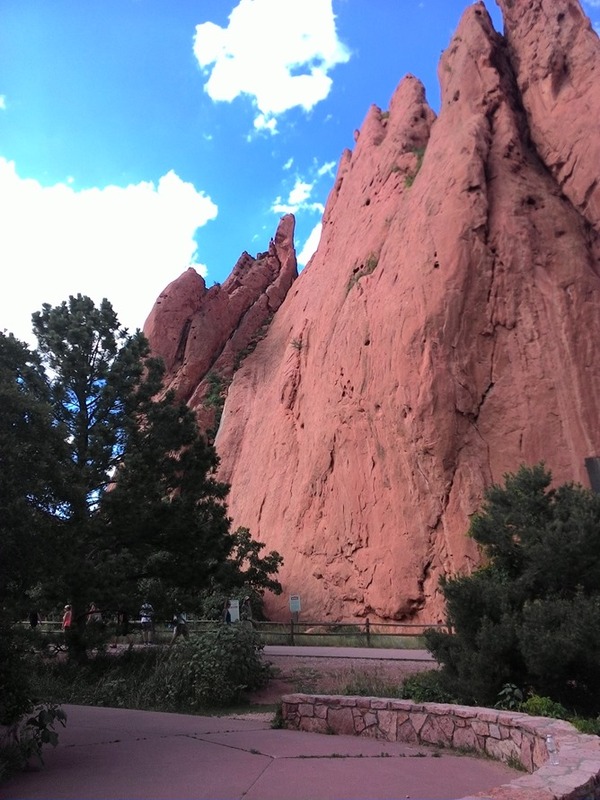 The camera software has a ton of extras, most of which are filters. But a few are more useful, such as the "turbo" mode that takes photos in rapid succession and lets you save only the ones you want. 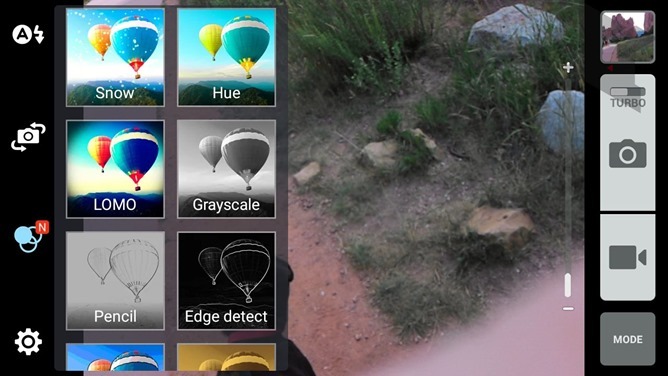 There's also an HDR mode, panorama assist, and an easy GIF maker. 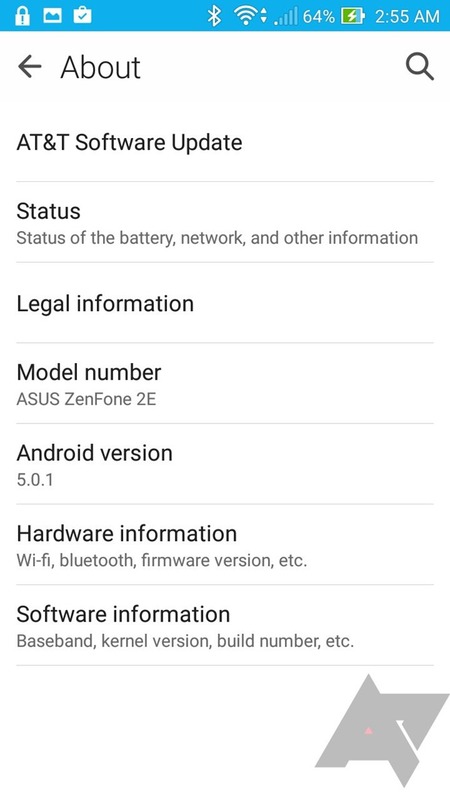 Here's the major downer for the ZenFone 2E: Asus' customized version of Android 5.0. I was more or less expecting a heavy "skin" from David's review of the larger ZenFone 2, but it's much more noticeable and problematic on a device with a weaker processor and much less RAM. See the Performance section above. 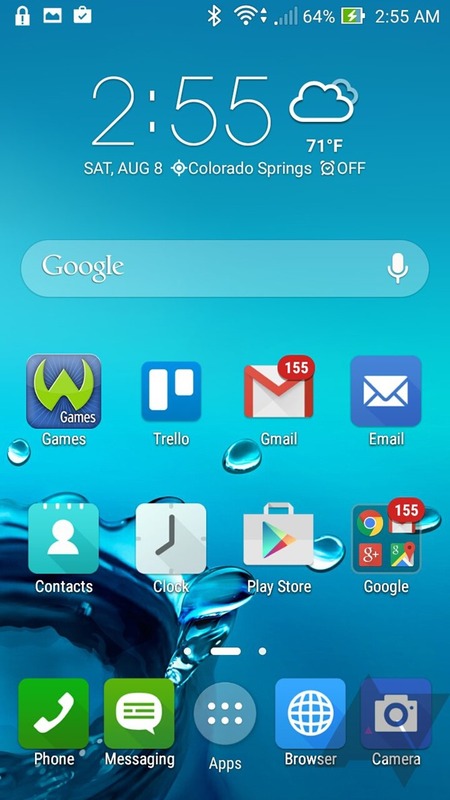 What's really frustrating is that the skin adds almost nothing to stock Android. 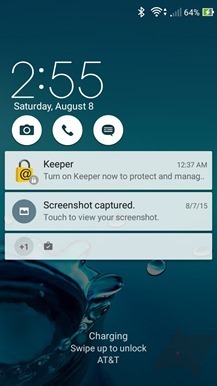 The placement of settings and functions is more or less identical - for example, the lockscreen lets you access the phone and camera with a swipe, plus the stock messaging app (which you may or may not want to use). 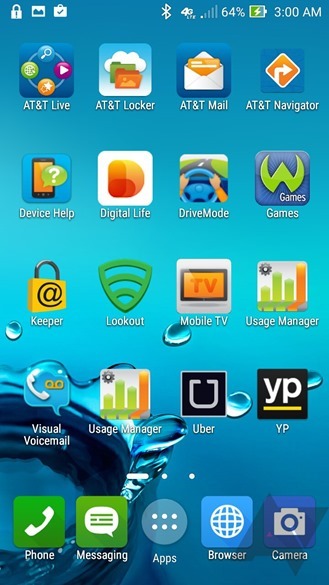 The homescreen is competent and surprisingly customizable. The notification drawer is cramped with extra settings, but it's not so different from stock Android that it's confusing. 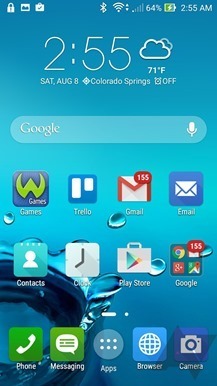 Even the theme is alright, flat and pastel colored like some later Samsung designs. But the phone is absolutely crammed with extras that are unnecessary. Basically every stock app has been replaced, mostly with competent but annoyingly modified versions. 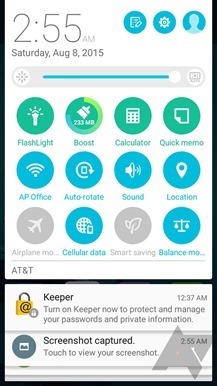 A few of the apps that are included in the app drawer are just fancier versions of features that are already implemented in Lollipop, like a flashlight app. Others, like a dedicated app for "mirror" that simply opens the front-facing camera, are more or less useless. On an expensive phone with plenty of storage this is a nuisance, but on a phone with only 3GB of space available to the user, it's infinitely more frustrating. I found myself resenting Asus' software engineers for not using a build closer to stock every time I had to make an extra tap to set the alarm. 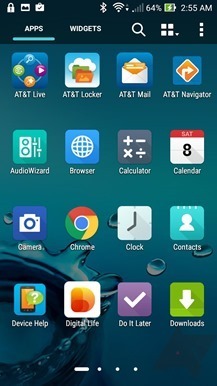 It doesn't help that this is an AT&T phone, and so comes with a metric ton of crapware. 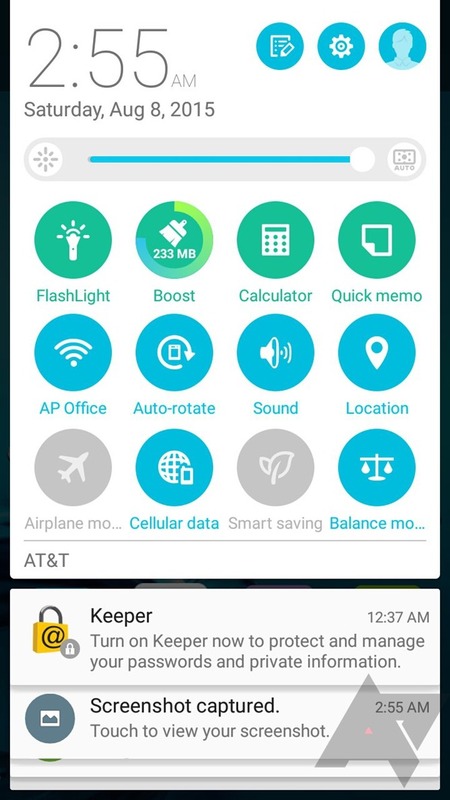 Here are the unnecessary apps in the drawer, not including functionality duplicates like "calendar" or "flashlight:"
That's 19 unnecessary apps, most of which can be disabled (not uninstalled and removed from storage). On an 8GB phone. Ugh. 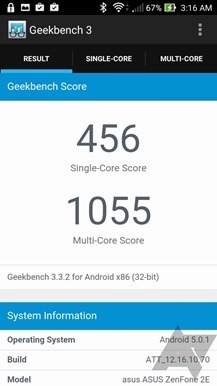 The most frustrating thing is that this is exactly the kind of hardware where a clean (or just "cleaner") version of Android could make all the difference, to say nothing of the fact that it would be easier for Asus to implement. I don't mean to sound like a vanilla Android fanboy, but an understanding of these advantages is part of the reason that Motorola's low-end and mid-range hardware has been so widely praised. The ZenFone 2E is competent. It'll do. It's not spectacular in any particular department, but it doesn't fall flat in any either, with the notable exception of performance. If it was the only phone available as a choice to me (and I didn't have any disposable income handy), I wouldn't reject it out of hand. 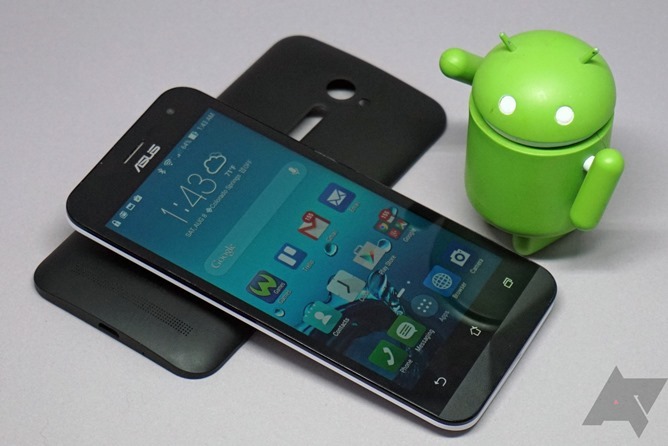 But at a time when the Moto E and the Blu Studio Energy are available to users looking for an off-contract phone, it's hard to recommend Asus' entry into the low end of the market over its competitors. The poor software implementation and lack of any real hardware advantages, with the possible exception of the screen, means it's easily the slowest horse in its race. AT&T will probably sell a few on its strengths against other GoPhone-branded handsets, but for shoppers who look around, it won't make a lasting impression.